The last thing we will be learning in our Learn Tunisian Crochet series is binding off and finishing. 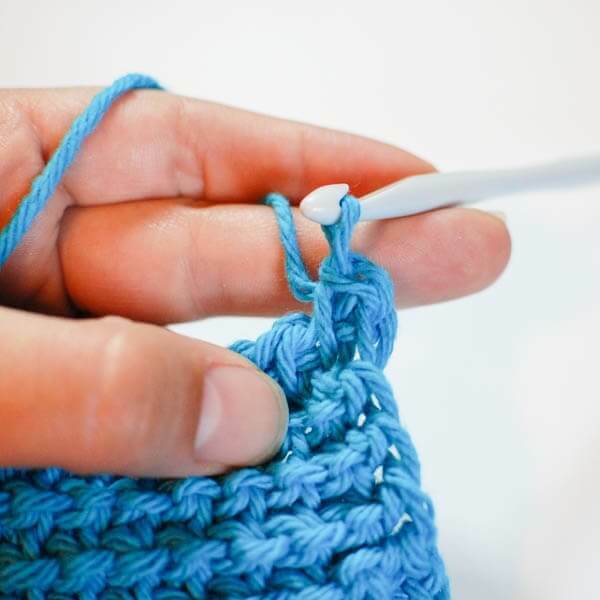 The bind off in Tunisian crochet is similar to how you work Slip stitches in traditional crochet. 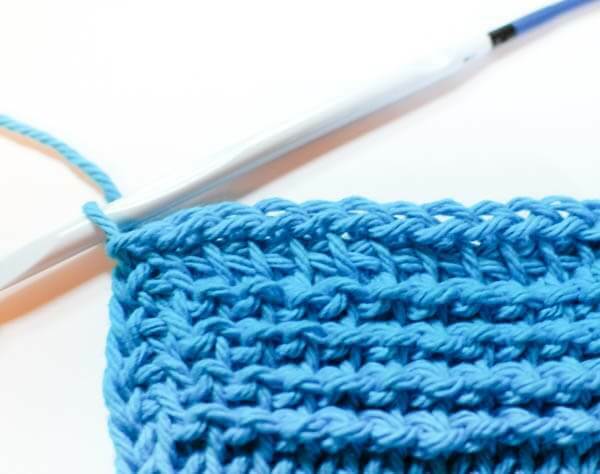 To do a Simple Stitch Bind Off, insert hook under the next vertical bar. Yarn over and pull up a loop through both the vertical bar and the loop on hook. You have worked one stitch now. Continue all the way across to your last stitch. As I mentioned in our Introduction post, Tunisian Crochet has a tendency to curl, especially at the beginning edge. If you were not able to remedy this with a larger hook size, blocking will help. Blocking is also a great way to give your piece a nicely finished look and to shape it to its desired size. There are different methods for blocking. I usually just spray my piece with a water bottle, pin it into shape, and allow it to dry. For more information, you can find my free tutorial on How to Block Knit and Crochet Items here. If you worked your foundation row into the back ridge (bump) of your beginning chain, you should have nicely finished edges that all look consistent. Although not necessary, you may choose to edge your piece with a crochet border. This also helps combat the dreaded curling. Are you ready to tackle your first Tunisian Crochet pattern now? 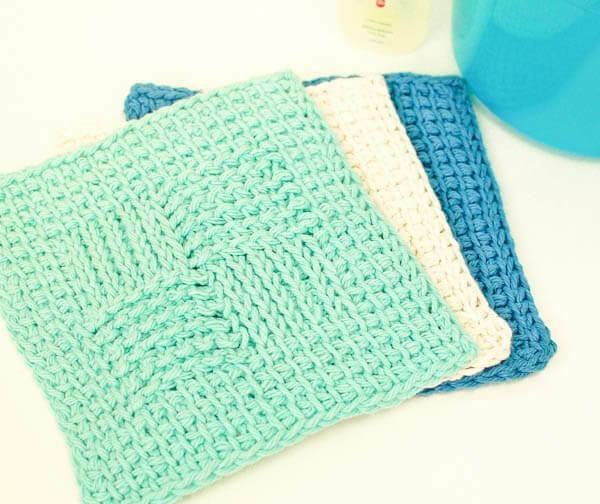 Try my Tunisian Sampler Washcloth. Love this tip, I need to do 3 more rows of my first TSS graph, to finish off that means I do a 4th row of slip stitch bind off? It depends on the pattern you are following and whether their last row is counted as the bind off row or whether they indicate to bind off after working the final row. 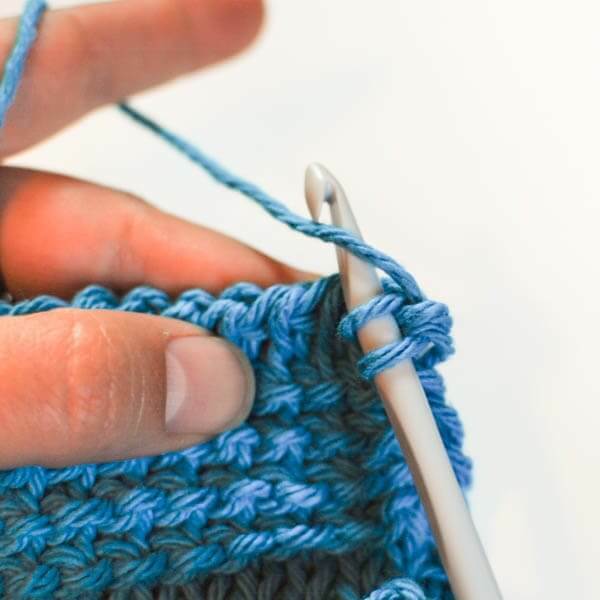 Also, when you say slip stitch bind off, just be sure to work it as the pattern says … meaning are you inserting your hook as if to TSS and then slip stitching or are you inserting your hook as if to TKS, etc. Hope this helps! Thank you for a great tutorial on Tunisian stitches! I’ve certainly picked up some very useful tips and am going to try your dish drying mat pattern. Do you know how to join two Tunisian panels with an invisible seam? After completing the foundation row, irregardless of what stitch or pattern I have planned for my project, I always start with the purl stitch, which remedies, IMO, at least 85% of curl. For my current project, joined pannel blanket stitch bedspread, I also finish off the top of each pannel with another row of purl, then slip stitch across top. I find the purl stitch to be very decorative in such projects, but have never made sweaters or other garments to know if this technique will remove the curl or not. Very smart! Yes, it definitely helps counteract that curl! Thank you so much! I just learned Tunisian a little over a year ago even though I have been crocheting for many years. I learned the basic stitches from different places on the internet. I really enjoy the direction you give for doing the stitches, makes it so much easier and so much quicker than the way I was doing it before (purl stitch, carry yarn to the front for each stitch). And I never knew to use the “bump” on the starting chain. Makes it look so much more finished. All the projects I have tried from your side are just amazing. Thank you for all you do! Your tutorial is so easy to follow!! I am new to Tunisian crochet and fell head over heals. Thank you again so very much!! You are a RockStar Girlie! I’ve been botching my Tunisian stitches (and hating them) for years! Somehow the instructions I had only made me more confused and frustrated. Your instructions on the other hand, have made it so clear, and so easy, I can’t wait to make mountains of cotton treasures! Thank you a million times! Since I have had so much time on my hands, I look forward everyday to getting a little blurp bout something new, I love the patterns and creative ideas. PLEASE keep it up!. It’s nice to find such great free patterns! Love your page!